Medial collateral ligament injuries to the knee are not uncommon. Many well-recognized professional athletes, including Jay Cutler, Hines Ward, Knowshan Moreno, and Troy Polamalu, have suffered from a medial collateral ligament tears after injury on the football field. These can occur alone or in combination with other ligament or cartilage injuries of the knee in athletes. The Medial Collateral Ligament (MCL), together with the cruciates and lateral collateral ligament, is critical to the stability of the knee joint. The MCL is a fibrous band of tissue made up of collagen fibers that runs along the inner aspect of the knee from the end of the thigh bone (femur) to the top of the shin bone (tibia). In this location, the MCL provides “side-to-side” stability to the knee and prevents widening of the inner aspect of the joint with forces applied to the outside of aspect of the knee (valgus force). When significant forces are applied to the outside aspect of the knee, as can occur during a tackle in football or awkward slide into base with baseball, the ligament can be stretched (“sprained”) or torn. The MCL is made up of a superficial and a deep layer. The superficial MCL runs from the distal femur to the tibia 4 or 5 centimeters below the knee joint line, and is found just below the sheath of the sartorius muscle tendon. The deeper MCL layer lies just outside of the knee capsule and inserts directly into the tibial plateau and medial meniscus. The superficial layers is much more mechanically important in resisting forces to the outside aspect of the knee (“valgus” force). How is the MCL injured in athletes? Because the MCL resists widening of the inside of the knee joint, the MCL is usually injured indirectly by traumatic forces in the outside of the knee. These are certainly common in contact sports from tackles or “clipping injuries” in football and soccer. However, MCL injuries can also occur from noncontact mechanisms such as awkward landing or pivoting events in basketball or slides into base with baseball. An MCL tear or sprain can occur in isolation or in combination with injury to the meniscus, cartilage, or cruciate ligaments. What are the signs of a medial collateral ligament (MCL) injury in athletes? The most common symptom following a MCL injury is pain directly over the medial aspect of the knee. The MCL can be tender to palpation over its attachment to the thighbone (femur) proximally, at its mid-substance, or distally over the shin bone (tibia) depending on the location of injury. The pain may also be reproduced by stressing the knee with a force applied to the outside aspect of the knee (“valgus force”), attempting to widen the inner aspect of the joint and stress the MCL. While a valgus force is applied, the inner aspect of the joint line can be palpated – widening that is 5 to 10mm greater than the normal, uninjured knee is significant for MCL injury. Swelling over the torn ligament may appear, and bruising or general swelling of the joint is not uncommon. In more severe injuries, patients may complain that the knee is unstable and feel as though their knee may ‘give out’ or buckle. Based on physical examination, MCL injuries are graded in severity on a scale of I to III. Grade I injuries are incomplete tears of the MCL. The ligament is still intact but stretched, and the symptoms are mild. Patients usually complain of pain with palpation of the MCL. A grade II MCL tear is a partial or incomplete tear. There is significant pain with valgus stress of the knee and palpation along the medial aspect on the knee over the ligament. Athletes with these tears often complain of knee pain or instability when attempting to cut or pivot. Grade III tears are complete tears of the MCL. These athletes have significant pain along the medial aspect of the knee. Even deep bending of the knee is uncomfortable. These tears often occur in combination with other injuries in the knee, and complaints of “giving out” or instability with walking, running, or pivoting is common. A knee brace or a knee immobilizer is usually needed for comfort. What is the role for imaging studies with an MCL tear in athletes? Plain radiographs can sometimes be helpful with MCL injuries. When the ligament has torn off the thigh bone (“femoral side”), it often tears with a piece of bone that is visible on x-ray. With old or recurrent injuries to the femoral side of the MCL, calcification at its origin can develop – this has been termed the “Pellegrieni-Stieda” lesion. Under most circumstances, however, plain radiographs are most helpful in ruling out associated fractures with MCL injury. MRI is the imaging study of choice to diagnose MCL tears. Injuries are readily identified on a “T2 sequence” that shows loss of continuity of the ligament and surrounding blood and fluid from the injury. The MRI will also localize the injury to the ligament to be proximal at the femur, in its mid-substance, or distally at the tibia. How are MCL injuries in athletes treated? Treatment of an isolated MCL injury in an athlete rarely requires surgical intervention. Usually rest and anti-inflammatory medications followed by rehabilitation will allow patients to resume their previous level of activity. All MCL injuries, however, are not created equal. Therefore, the time for an athlete to return-to-play is highly variable and dependent on the severity of the injury. Grade I injuries usually resolve without complication. They are typically managed with rest, ice, and nonsteroidal anti-inflammatory medications until the knee is pain-free to examination or routine activities. Most athletes with a grade I MCL tear will be able to return to their sport within 1-2 weeks following their injury. When a grade II MCL tear occurs, a hinged knee brace is commonly used to protect the knee from valgus forces. Nonoperative treatment also ensues with icing, nonsteroidal medications, and controlled rehabilitation. Athletes with a grade II injury can return to activity once they are not having pain to palpation or stressing of the MCL with a valgus force. Athletes can often return to sports within 3-4 weeks after their injury, but may remain in a protective hinged brace with contact sports. When a grade III injury occurs, the pain usually significant in the acute post-injury period. Athletes usually require a hinged brace locked in extension and crutches to protect against weightbearing for 1 to 2 weeks. As the pain resolves, the brace can be unlocked to allow range-of-motion as tolerated. Gradual weightbearing can be initiated as well. Once the athlete can comfortably flex the knee to 100 degrees, elliptical and stationary bicycle riding can begin. Light running can begin once the athlete has regained their quadriceps strength compared to the opposite side, and sporting activity can follow as long as the athlete remains pain-free. Complete rehabilitation from a grade III MCL tear can range from 6 weeks to 4 months. More Information: Read about sports injury treatment using the P.R.I.C.E. principle – Protection, Rest, Icing, Compression, Elevation. Does an MCL tear require surgery in athletes? Most MCL tears of the knee do not require surgery and will heal with time and rehabilitation. 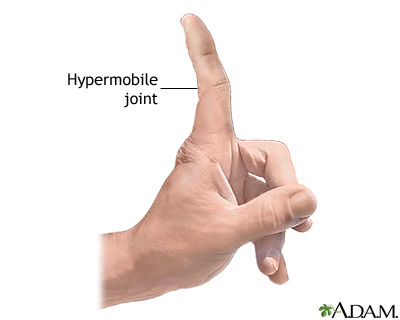 However, some severe Grade III MCL tears will not heal and residual instability with “opening of the joint” to stress on the outside aspect of the joint (“valgus force”) can persist. These type of MCL injuries are frequently seen in combination with associated ACL tears or high-energy, knee dislocation injuries. Rarely, the ligament stump can retract and become trapped within the joint. When this is seen on MRI, surgical intervention and repair is usually required to restore the normal anatomy. Consultation with a sports medicine doctor is important to examine and monitor the progress of a healing MCL injury. If surgery is required, a ligament repair with or without reconstruction with a tendon graft may be performed depending on the location and severity of the injury. What about platelet-rich plasma (PRP) injections for MCL injury in an athlete? 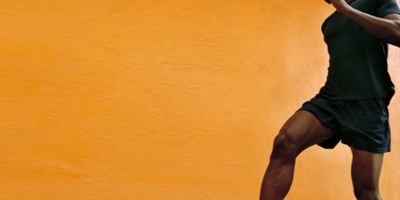 PRP injections have been increasingly utilized in the treatment of various soft tissue injuries at athletes. It is thought that the isolated “healing factors” from the athlete’s own blood may accelerate or stimulate healing at the site of injury. This treatment was used in the treatment of Hines Ward’s MCL injury during football season. While this treatment may prove to be effective, studies are currently in progress to evaluate its efficacy. If you suspect that you have a medial collateral ligament injury – an MCL tear, it is critical to seek the urgent consultation of a local sports injuries doctor for appropriate care. To locate a top doctor or physical therapist in your area, please visit our Find a Sports Medicine Doctor or Physical Therapist Near You section. The PCL (posterior cruciate ligament) although not as well known as it’s close neighbor the ACL (anterior cruciate ligament) is a surprisingly commonly injured structured. What is the relevant anatomy and function of the PCL? 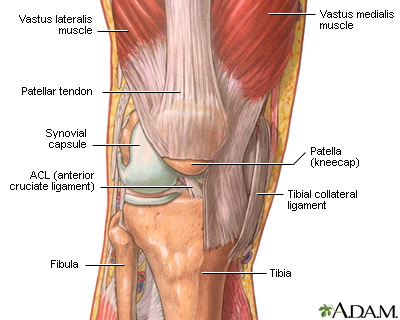 The PCL is one of the two major ligaments crossing (hence the term cruciate) in the center of the knee. 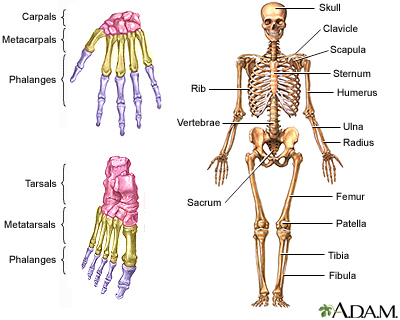 It connects on the thigh bone (femur) at the front of the knee and attaches to the lower leg bone (tibia) at the back of the knee. The “posterior” in PCL refers to it’s insertion on the back of the tibia. Although it appears as a single large ligament, on close inspection, there are normally 2 described bundles that the ligament is comprised of. These 2 bundles seem to have differing points of maximum tension during knee range of motion. This has implications on the technique of reconstructing the PCL. There are also 2 smaller ligaments associated with the PCL known as the meniscofemoral ligaments because they attach between the thigh bone (femur) where the PCL does and the menisci (shock absorbing tough cartilage located within the knee joint). These somewhat variable structures provide significant additional strength to the function of the PCL. The PCL is an extremely strong ligament and is in fact 1.5 times the size of the more commonly discussed ACL. The main role of the PCL is to keep the ends of the 2 bones of the knee (tibia and femur) centered on each other during normal knee activities. Specifically, the PCL resists backwards motion of the lower leg. Unlike the ACL, which is mainly functional during certain high risk athletic activities, the PCL is important and is functioning almost all the time even during simple walking. What else may be injured along with a PCL tear? A PCL tear may occur in isolation, however worse injuries and those that often involve a twisting motion during the injury can damage other structures within the knee. The most important of this involves tearing other ligaments in the knee, such as the ACL or the outside (lateral) ligaments of the knee. When this occurs, the injury is no longer considered an isolated PCL tear and has a much higher chance of requiring advanced surgical treatment. Who most commonly suffers a PCL tear? An athlete in almost any sports is susceptible to a PCL tear especially if it’s one where there is a risk of contact to their lower leg. Common examples would include soccer, rugby and most frequently football. In fact 2% of all NFL combine attendees have evidence of a PCL tear at some point in the past. There are an estimated 20 PCL injuries each season in the NFL. They more commonly occur during game competition. The great majority of these injuries do no require surgery to reconstruct the knee. Similarly, PCL tears make up about 5% of all knee injuries in rugby. Just in the past year many notable NFL athletes have had a PCL tear such as Reggie Bush of the New Orlean’s Saints and Felix Jones of the Dallas Cowboys neither of whom required surgery. On the other hand, San Diego Chargers outside linebacker Shawne Merriman sustained a PCL injury complicated by an associated lateral (outside of the knee) ligament injury that he was unable to play with and had to undergo extensive surgical treatment on. An athlete will describe a history of being struck on the front of the lower leg, falling directly onto the knee with the knee bent or a hyperextension injury as described previously. Often an experienced athletic trainer who is present at the injured athlete’s practice or competition will recognize the mechanism of injury as it occurs. Unlike with an (ACL injury, during a PCL tear there is usually no audible “pop” heard. Immediately following the injury, there will be swelling in the knee (effusion) from bleeding into the knee from torn blood vessels in the injured ligament. The acute injury will be painful and the patient may hold their knee slightly bent for comfort. The pain experienced may also be in the back of the knee depending on the location of the tear. In the case of an older tear that occurred long prior to evaluation, the patient may complain of instability, or a sensation of the knee giving away. They may also complain of pain which can be in the front of the knee as well. When examined, the hallmark of a PCL tear is that the lower leg (tibia) sags backwards with respect to the end of the thigh bone (femur). How much the tibia sags depends on the severity of the injury and has major implications in treatment as will be discussed below. There may also be evidence of further instability if other ligaments are injured as seen in more severe injuries. This may cause abnormal rotation of the knee on exam in a plane corresponding to the additionally injured structures. If an ACL injury is present as well, then the tibia will be loose when pulled forward (Lachman test). How is a PCL tear classified? A PCL tear is classified in a couple different ways. One simple way is to describe them as either an isolated PCL tear, where only the PCL is injured, or as a combined ligament injury. A combined ligament injury would involve a tear of the PCL and at least one other injured ligament. A common example would be a PCL and lateral-sided ligament injury as occurred with Shawne Merriman. Injuries to the PCL can also be graded as I, II or III. Grade I and II injuries are partial PCL tears. Grade I refers to only a few mm of sag of the tibia backwards while Grade II injuries refer to sagging of the tibia to the level flush with the end of the thigh bone (femur). This roughly corresponds to 1 cm of backwards sag. A grade III injury signifies a complete rupture and the tibia sags backwards even further. It is likely that when a grade III injury occurs, there are other ligaments torn along with the PCL. It is important to scrutinize the type of PCL injury an athlete sustains because there are significant treatment implications, especially for a Grade III or combined ligament injury. A PCL tear occur when a direct blow to the front of the knee or leg just below the knee (tibia) creates a large sudden force directed backwards. This puts a significant amount of stress on the PCL. The stress in the ligament is even higher when the knee is flexed (bent) closed to 90°. The posterior cruciate ligament then stretches to the point of mechanical failure which is considered a tear. This can happen when someone is tackled in football below the knee from the front or when someone in any sport lands forcefully directly onto their knee with their knee simultaneously bent. The PCL can also tear in this manner when in a head-on motor vehicle collision the vehicle’s dashboard strikes directly against the knee. Sometimes the PCL can be stretched and subsequently torn by forceful hyperextension (bending backwards beyond straight) occurring to the athlete’s knee. This may occur when, in football, a player is hit on the legs just below the knee from the front and their knee hyperextends because their foot is firmly planted in the playing surface. This mechanism, especially when the knee twists during the injury, can lead to tearing of other important knee structures beyond simply the PCL. Initially, sports injury treatment using the P.R.I.C.E. principle – Protection, Rest, Icing, Compression, Elevation can be applied to a PCL tear. What is a typical treatment algorithm for a PCL injury? A partial PCL tear, grade I and II, are typically treated non-operatively with a long course of intensive physical therapy to strengthen the surrounding muscles controlling the knee. Complete PCL tears often require surgical treatment to regain knee stability. When the PCL pulls off a small piece of bone from the back of the lower leg (tibial avulsion), the PCL may be surgically repaired. If the bone fragment is large enough a screw can be place to secure the piece of avulsed bone back to where it was originally. However in the majority of PCL injuries, the ligament tears in the middle of the structure. In this case, the PCL must be reconstructed which refers to replacing the entire ligament with what is known as a graft. How is the treatment different for a PCL tear when there are other injuries present as well? When a combined ligament injury is present, the treatment is almost always surgical. All injured structures that do not heal must be addressed at surgery, otherwise the PCL reconstruction will be at a high risk of failing once the athlete returns to sports participation. In this circumstance it is important that the injured athlete be evaluated by a sports medicine trained orthopaedic specialist as surgical treatment of these injuries can be highly complex and pose significant risk to major nerves and arteries around the knee. What imaging tests are useful to help diagnose and differentiate a PCL tear? Standard knee radiographs are always important to obtain. These are needed to rule out fractures and look for evidence of other injuries that may be present. When a PCL injury is longstanding, present for years, there is a propensity for the knee to develop arthritis. This is especially the case beneath the knee cap (patellofemoral joint) and on the inside of the knee (medial side). Xrays can see narrowing of a joint and bone spurs that are indicative of arthritis associated with an old PCL injury. Sometimes obtaining a side xray (lateral view) with a backwards force on the lower leg, known as posterior stress views, is useful to quantify the amount of backwards sag. This can sometimes help grade the injury more accurately. An MRI is useful to evaluate the ligamentous structures of the knee, not just the PCL. It can also evaluate the menisci and the cartilage surfaces of the knee for arthritis. When a PCL injury has just occurred, the PCL will look torn on the MRI. However the PCL has a remarkable ability to heal itself and the farther out from the injury an MRI is performed, the less remarkable the PCL will appear on the MRI. In fact an old PCL injury that occurred months or years ago may show up as normal on an MRI despite clear evidence of a PCL injury on clinical exam. What is non-operative treatment for a PCL tear? Non-operative treatment of a partial PCL tear involves a period of immobilization of the knee followed by intensive treatment by a skilled physical therapist. A short period of immobilization of the knee in a brace or even sometimes a cast may be necessary to allow the PCL to heal first. Early emphasis in physical therapy is on reducing knee swelling and obtaining full knee range of motion. Following this, the focus of physical therapy becomes strengthening the surrounding musculature of the knee which provide dynamic stabilization. Most importantly is quadriceps strengthening because they pull the tibia in a forward (anterior) direction and therefore counteract the backwards sag of the tibia seen when a PCL is torn. Also, core and hip stabilization are important to regain maximum control over the entire lower extremity. This also helps develops this muscular control for their sport and maximize athletic performance. In many cases, an injured athlete can return to sports participation in about 4 – 6 weeks although this may be shorter or longer depending on how severe the injury is and how well the athlete responds to therapy. What is operative treatment for an isolated PCL tear? In most cases of a complete PCL injury surgical treatment is performed. Most commonly this requires removal of the torn ligament and a new ligament to be reconstructed in the old ligament’s place. The new ligament graft can be from many sources, however most commonly it is an allograft (tissue graft from a cadaveric donor). Which specific allograft tissue is up to the discretion of the operating surgeon and may be taken from one of various tendons of the ankle or from the quadriceps tendon at the knee. Then the injured PCL is removed with the help of the arthroscope (small camera) using a few very small incisions. Any other associated cartilage and meniscus injury can be treated at the same time. Then a tunnel is created in the end of the thigh bone (femur) where the PCL attaches. The bone where the PCL attaches to the back of the lower leg (tibia) is also prepared to receive the graft. The new PCL graft is then connected the bone at each end with one of various fixation devices (screws or staples) and therefore recreates the PCL. Because much of the surgery for a PCL reconstruction is performed in the back of the knee, there is a greater risk of a nerve or blood vessel injury than in most knee surgeries. It is important that an athlete is checked both during and after surgery that damage to one of these important structures did not occur. There are some hotly debated controversies in PCL reconstruction. These involve whether a single large graft or a double-bundle graft with 2 smaller limbs should be used. There is some evidence the double-bundle graft may be mechanically stronger. However, there has been no clinical evidence that patients do better with one versus the other. Another, controversy involves how the graft is attached to the back of the tibia. 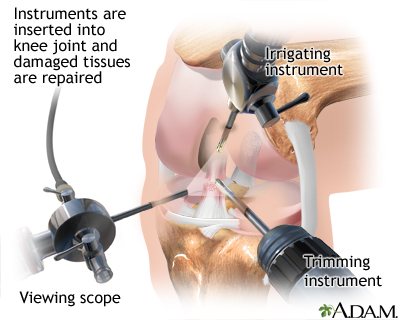 One technique involves performing the surgery almost entirely through the small incisions with the help of the arthroscope. The other technique (tibial inlay) involves making a larger incision at the back of the knee and directly attaching the new PCL graft at that point. There is some evidence that performing the surgery in this manner is more mechanically advantageous to the graft. The graft might not be stretched as much and may have a lower rate of failing. The ideal technique of PCL reconstruction may vary somewhat on a case by case basis and therefore would normally be discussed with the treating sports medicine surgeon. What is the typical recovery from an operatively treated PCL injury? Recovery following surgical treatment of a PCL tear requires a long course of physical therapy. Initial treatment focuses on regaining range of motion and decreasing the swelling in and around the knee. Early quadriceps retraining is very important to regain control of the knee. Then over the course of months the rehab is progressed to a functional program with a goal of returning an athlete to their sport. This often takes 6 months to a year of rehab. Early on in returning to sports participation, an athlete may wear a protective brace although for how long is determined by the surgeon who performs the surgical reconstruction. If you suspect that you have a PCL tear, it is critical to seek the urgent consultation of a local sports injuries doctor for appropriate care. To locate a top doctor or physical therapist in your area, please visit our Find a Sports Medicine Doctor or Physical Therapist Near You section. Load Tranmission – the menisci are responsible for transmitting between 50% to 70% of the loads across the knee joint. In their absence, these loads are directly transmitted to the articular cartilage on the ends of the bones. • Joint Stability – the menisci are secondary stabilizers of the knee in many planes, and become the primary stabilizer for front-to-back (“anteroposterior”) motion of the knee when the athlete suffers a anterior cruciate ligament (torn ACL). What is the anatomy of the menisci? The menisci are “wedge-shaped” pieces of cartilage that rest between the thigh bone (“femur”) and lower leg bone (“tibia”) in the knee joint. There are two menisci, a medial one on the “inside” of the knee and a lateral one on the “outside” of the knee. The medial meniscus is C-shaped, while the lateral meniscus is more semicircular in shape. Both rest on the tibial surface and are anchored to the bone at the front and back of the plateau (“meniscus roots”). 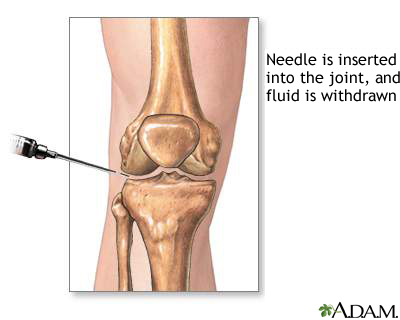 Each meniscus can be divided into portions based on (i) location within the knee, or (ii) blood supply. By location, the meniscus can be divided into a (i) posterior horn, (ii) body, and (iii) anterior horn. These terms are helpful to describe the location of meniscus tears. Tears in the posterior horn are the most common. The blood supply of the meniscus comes from the periphery where it attaches to the lining of the knee joint (“capsule”). For this reason, the peripheral one-third of the menisci are generally well-perfused, while the inner aspects have a more limited blood supply and correspondingly limited potential for healing. These different locations moving from peripheral-to-central have been termed the “red-red”, “red-white”, and “white-white” zones. This classification becomes important when evaluating meniscus tears and considering their capacity for healing after a meniscus surgery. What is a meniscus tear in athletes? A Meniscus tear is among the most common orthopaedic injury and has been colloquially referred to as “torn cartilage” in the knee. They have affected athletes of virtually every sport. While they are most commonly seen in the posterior horn, they can occur in any location and affect either the medial side, lateral side, or both. In athletes, a meniscus tear usually is a traumatic origin. They result or abnormally high forces that fail the substance of the meniscus. While these are often the result of forceful twisting or pivoting movements, they can also occur with seemingly innocuous activities such as squatting or jogging. From baseball catchers to professional defensive lineman, virtually every sport and position player has been affected by this injury. Some names you will recognize include Osi Umeniyora, Johan Santana, Sedrick Ellis, and Shawne Merriman – all have battled meniscus tears in their athletic career. In older patients, a meniscus tear may not be of traumatic origin but rather part of degenerative changes in the knee. These tears are often accompanied by some arthritic changes in the knee and are referred to as “degenerative” tears. How is a meniscus tear classified? These tears can then further classified by their proximity to meniscus blood supply, namely whether they are located in the “red-red,” “red-white,” or “white-white” zones. 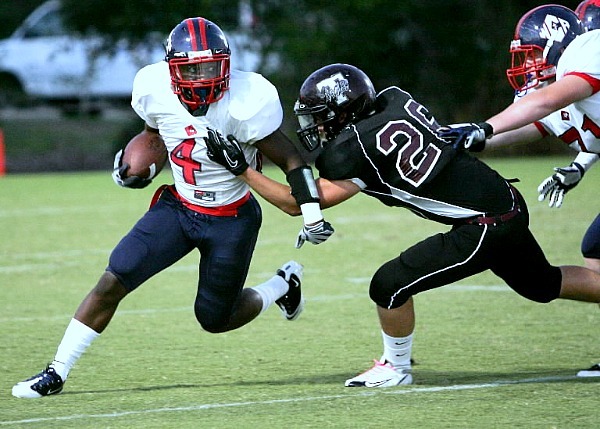 What injuries can accompany a meniscus tear in athletes? While a meniscus tear can certainly occur in isolation, they are often accompanied by other injuries in the knee as well. In the setting of high-energy trauma, associated fractures of the proximal tibia (“tibial plateau”) can occur. Meniscus tears have been reported to be as common as 50% with these fractures. A meniscus tear often accompany tears of the anterior cruciate and/or collateral ligaments as well. The posterior horn of the medial meniscus is the secondary stabilizer to anteroposterior translation of the joint, and therefore becomes particularly vulnerable to injury with deficiency of the anterior cruciate ligament (the primary anteroposterior stabilizer of the joint). How does a meniscus tear present in athletes? • Weakness of the leg, particularly the quadriceps muscle. This may be evident when trying to perform a straight leg raise or walk up and down stairs. In addition to examining for the above signs and symptoms, a physician may check the athlete’s ability to squat on the knee without discomfort. They doctor may also perform a McMurray’ Test in which the knee is bent, straightened, and rotated in an attempt to entrap the meniscus tear within the joint. If you have a meniscus tear, this movement may reproduce clicking and pain. What imaging studies help to confirm the presence of a meniscus tear? Plain x-rays (radiographs) of the knee can be useful to evaluate for the presence of associated injuries such as tibial plateau fractures or ligament avulsions. They will not, however, confirm or rule out the presence of a meniscus tear. Magnetic resonance imaging (MRI) of the knee has become the gold standard of imaging studies for a meniscus tear. These high-resolution pictures from multiple perspectives allow for a greater than 95% sensitivity in detecting a meniscus tear. Furthermore, they provide valuable information regarding the tear pattern and configuration to help preoperative planning and assessment of the repairability of the tear. MRI of the knee not only helps to define the tear, but allows for evaluation of the other important anatomical structures of the knee. The status of the collateral and cruciate ligaments, as well as the cartilage surfaces of the joint can be carefully evaluated to help design the best treatment plan. How is a meniscus tear in athletes treated? • Rim width is the most important prognostic criteria for healing after meniscus repair. Therefore, peripheral, longitudinal tears within 3-mm (“red-red” vascular zone) of the meniscocapsular junction should be repaired. Longitudinal tears within 3 to 6-mm width (red-white zone) have less predictable success, but should still be considered for repair in younger patients. • Tears more than 6-mm from the peripheral blood supply are generally avascular and are not suitable for repair. • Acute, traumatic tears have an improved prognosis for healing compared to chronic, degenerative lesions. • Longitudinal tears are more amenable to repair than the flap, horizontal cleavage, or complex degenerative patterns. • The management of the radial tear is controversial. Large radial tears extending to the periphery are technically easy to repair and should be considered for repair in young patients to restore hoop stresses and load transmission function of the meniscus. • Age should not be used as an absolute criteria for determining the feasibility of repair. While younger patients have a more favorable prognosis, successful healing has been reported in older patients. • Higher rates of failure have been noted in the setting of unstable knees secondary to excessive shear forces that prevent healing. Therefore, an insufficient anterior cruciate ligament (ACL) should be reconstructed at the time of meniscus repair. Reconstruction of the ACL at the time of meniscus repair has been associated with a more favorable rate of meniscus healing. • Partial thickness tears that are shallow and stable (<3mm depth and <1cm length) generally heal spontaneously. Unstable partial thickness tears, however, should be repaired. What is involved with meniscus surgery in athletes? If a meniscus tear is symptomatic and limiting the ability of an athlete to return to play, it is typically addressed with surgery. The vast majority of meniscus surgery can be performed arthroscopically through small incisions in the skin. The camera is used to carefully visualize and define the tear pattern. For irreparable tears, the torn fragments are typically excised and the residual meniscus smoothly contoured. Care is taken to preserve as much stable tissue as possible to retain the important load transmitting functions of the meniscus. For repairable tears, instruments are introduced to freshen the torn edges, line them up (“reduce” the tear), and suture the tear. Various techniques to suture the meniscus tear edges have been described. These fall into the general categories of repairing the tear from entirely within the joint (“all-inside”), from inside to out of the joint (“inside-out” repair), or from outside to in the joint (“outside-in”). Each technique has its associated strengths and limitations. Regardless of which is utilized, however, the ultimate goal is a well-reduced meniscus and secure repair across the torn edges. If the blood supply to the olocation of the tear is tenuous, augmentation with substances to promote healing may be considered. Fibrin clot has been used with some efficacy in this regard. Platelet rich plasma augmentation at the site of the tear may be beneficial, and studies are currently in progress to evaluate its effects on meniscus healing. What is involved in the recovery for athletes after meniscus surgery, and when can I get back to play? The recovery program for your knee after meniscus surgery is highly dependent upon the specific procedure performed as well as the specific nature of your tear. Your expectations and sport must be considered as well. In general, partial meniscectomy for irreparable tears will allow for a more rapid recovery than meniscus repair surgery. This is because the interval time to allow for tissue healing is not required. After partial meniscectomy, weightbearing is gradually allowed as tolerated and exercises are initiated promptly to achieve full range-of-motion of the knee. Strengthening exercises are subsequently initiated. While time to return to sports is variable, a goal of 3 to 4 months is generally feasible. For meniscus surgery, a period of non-weightbearing and restricted range-of-motion is usually implemented postoperatively to optimize the environment for healing of the tissues. A range-of-motion and strengthening program is subsequently implemented. In general, a goal of 6 months to return to play is typical, but can be much longer depending upon tear severity and functional goals. • The effect of tear configuration and knee range-of-motion on meniscus healing guide rehabilitation. • Compressive loads on peripheral longitudinal tears with knee in extension typically reduce the tear edges. • Compressive loads on peripheral longitudinal tears in flexion displace the posterior horn and tear edges. • The menisci translates posteriorly with knee flexion, but minimally from 0 to 60 degrees. The lateral demonstrates more translation than the medial meniscus. Peripheral, longitudinal tears: Hinged knee brace postoperatively locked in extension for 3-4 weeks. Partial weightbearing for 4 weeks with the brace locked in extension. Advance range-of-motion and weightbearing over 3-6 weeks. Sport-specific training and strengthening at 6-8 weeks. No running for 4 months. Radial tears/Complex tears: Hinged knee brace postoperatively is locked in extension for 3-4 weeks. Toe-touch weightbearing for 4 weeks with the brace locked in extension. Range-of-motion and weightbearing are gradually advanced in the brace at 4-6 weeks. If you suspect that you have a meniscus tear, it is critical to seek the urgent consultation of a local sports injuries doctor for appropriate care. To locate a top doctor or physical therapist in your area, please visit our Find a Sports Medicine Doctor or Physical Therapist Near You section. The anterior cruciate ligament (ACL) is one of the four major ligaments that connect the bones of the knee joint. The ACL ligament helps to hold the bones in proper alignment and help control the way your knee moves. The ACL provides stability to the knee and prevents excessive forward movement of the lower leg bone (tibia) in relation to the thigh bone (femur). A torn ACL can be grouped into two categories: contact and non-contact. An example of non contact injuries would be when an athlete rapidly decelerates, followed by a sharp or sudden change in direction (cutting). Noncontact torn ACL injuries have also been linked to heavy or stiff-legged landing as well as twisting or turning the knee while landing, especially when the knee is in the valgus (knock-knee) position. Contact injuries most common occur after a blow to the outside of the leg causing the knee to “buckle” and assume a valgus position. How is a torn ACL classified? Most clinicians describe a torn ACL as either partial or complete. This is based on physical examination and imaging findings (discussed later). Do women really tear their ACLs more than men? Women in sports such as soccer, basketball, tennis and volleyball are significantly more prone to a torn ACL than men. The discrepancy has been attributed to differences between the sexes in anatomy, general muscular strength, reaction time of muscle contraction and coordination, and training techniques. Hormonal causes have also been investigated although it is still unclear what role they may play in a ACL tear if any. Lastly, women have a relatively wider pelvis, requiring the femur to angle toward the knees (knock knee) which may also be a predisposing factor towards a torn ACL. Patients who suffer an ACL injury often report hearing an audible pop followed by significant swelling. Afterwards, patients will may complain of instability of the knee (i.e., a “wobbly” feeling) especially when try to change directions during sporting activity. Continued athletic activity on a knee with an torn ACL can have devastating consequences, resulting in massive cartilage damage, leading to an increased risk of developing osteoarthritis later in life. How will my doctor determine if I have a torn ACL? Several diagnostic maneuvers help clinicians diagnose a torn ACL. In the anterior drawer test, the examiner applies an anterior force on the proximal tibia with the knee in 90 degrees of flexion(picture). The Lachman test is similar, but performed with the knee in only about twenty degrees of flexion, while the pivot-shift test adds a valgus (outside-in) force to the knee while it is moved from flexion to extension. The Lachman and anterior drawer asess purely for translation, whereas the pivot shift test assesses for rotational instability. Any abnormal motion in these maneuvers suggests a tear. The diagnosis is confirmed by MRI (magnetic resonance imaging) which also is used to assess for other ligament, meniscus, and cartilage pathology. Can some injuries be treated without ACL surgery? Nonsurgical options may be used if the knee cartilage is undamaged, the knee proves to be stable during typical daily activities, and if the patient has no desire to ever again participate in high-risk activities (sports involving cutting, pivoting, or jumping). Nonsurgical treatment is typically only considered in cases of low grade partial injuries. If the nonsurgical option is recommended, the physician will recommend physical therapy, wearing a knee brace, and avoiding any provocative maneuvers. The goal of physical therapy is to strengthen the muscles around the knee to compensate for the absence of an ACL. Initially the goal of physical therapy is to restore range of motion; after a period of time, the physician will prescribe a strengthening program that focuses on the hamstrings first and and later the quadriceps, hip, and core musculature. Most ACL-deficient athletes conclude that their knee continues to feel unstable, again confirming the important role of the ACL in normal knee stability. Therefore, most orthopaedic surgeons recommend ACL surgery treatment in the athletic population because repetitive insults to the knee as a result of ACL deficiency often results in meniscal and cartilage injury. Such injuries can ultimately lead to persistent pain, disability, and premature osteoarthritis. However, initially, sports injury treatment using the P.R.I.C.E. principle – Protection, Rest, Icing, Compression, Elevation can be applied to a torn ACL. What’s involved with ACL surgery? There are two main options for ACL graft selection: autograft and allograft. Autografts are the patients’ own tissues, and the most common options include the middle third of the patella tendon and the hamstring tendons. Allografts are cadaveric tissue sourced from a tissue bank; the most common allograft tissue used for ACL reconstruction is Achilles tendon. Each method has its own advantages and disadvantages; patellar tendon autografts are the most common and often considered the gold standard for young highly competitive athletes. However, the site of the harvest is often painful for weeks after surgery and some patients can development tendinitis or generalized knee pain that can be difficult to recover from. Such complications are generally avoided when using hamstring autografts, although some clinicians feel hamstring reconstructions become loose over time. It should be noted that many clinicians used both with an extremely high success rate and their use is often surgeon preference or bias. ACL surgery reconstruction using allograft tissue does carry a slightly higher infection risk but patients often recover the fastest of all the graft choices. Although not recommended for young, extremely active athletes, allograft reconstruction is often a popular choice for the older more sedentary athlete. Many patients worry about the transmission of disease from the allograft itself; although this has been reported in the literature, most clinicians feel such risk is extremely low and feel very comfortable using allograft tissue. The ACL surgery is performed arthroscopically, with tunnels drilled into the femur and tibia at the original of the ACL footprints. The graft is then placed into position and held in place. There are a variety of fixation devices available, particularly for hamstring tendon fixation. These include screws, buttons and post fixation devices. The graft typically attaches to the bone within six to eight weeks. The original collagen tissue in the graft acts as a scaffold and new collagen tissue is laid down in the graft with time. What is double bundle ACL reconstruction and do I need it? Since the native ACL consists of two bundles, some clinicians have advocated a double bundle reconstruction which places two separate grafts during surgery instead of just one. Although biomechanical studies have shown an advantage this technique, no clinical studies have demonstrated it to be superior than standard single graft techniques. Furthermore, it is unclear what the potential disadvantages of a double bundle technique are. Most clinicians still use a single graft approach with very high success. It is important to consult your surgeon to discuss what his/her preference is and why. What will physical therapy be like after ACL surgery? After ACL surgery, the knee joint loses flexibility, and the muscles around the knee and in the thigh tend to atrophy. All treatment options require extensive physical therapy to regain muscle strength around the knee and restore range of motion (ROM). For some patients, the lengthy rehabilitation period may be more difficult to deal with than the actual ACL surgery. External bracing is recommended for athletes in contact and collision sports for a period of time after reconstruction. It is important however to realize that many of the specific rehabilitation protocols are physician dependent. Generally speaking, most surgeons will prescribe a brace and crutches for post ACL surgery recovery for approximately one month. After that, a rehabilitation period of six months to a year is required to regain pre-surgery strength and use. ACL Surgery Recovery. The Quad Set. ACL Surgery Recovery. Adductor Squeeze. When can I return to athletics? Most clinicians allow for a competitive return to sport at 6 to 7 months. Also, be sure to take a look at the SportsMD Video on proper icing of an ACL injury. Proper Icing of the ACL. Ice is Nice! Can a torn ACL be prevented? Athletes can lower their risk of torn ACL by participating in performance drills that focus on improving lower extremity strength, agility, flexibility, and power. The Santa Monica ACL Prevention Project developed an ACL Injury Prevention Program specifically designed for female soccer players that can be applicable for all athletes both male and female. Some videos on improving lower extremity strength are provided below. Hamstring Strength, Protect Your Knees! Quad Strength, Protect Your Knees! If you suspect that you have a torn ACL, it is critical to seek the urgent consultation of a local sports injuries doctor for appropriate care. To locate a top doctor or physical therapist in your area, please visit our Find a Sports Medicine Doctor or Physical Therapist Near You section.